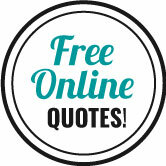 Coffs Harbour Furniture Removals & Storage is a Coffs Harbour business founded by Brock Coutman. He and his family have been in Coffs Harbour for over a century and his trucks are even kept on the retired family banana plantation in Korora. Owner driver Brock is a 4th generation removalist who learn’t his trade from his father and grandfather Allen and Keith Coutman. 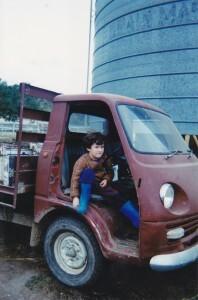 From the very beginning he loved trucks and this drove him to begin helping in his father’s business as soon as he was able. He has spent his years completing home removals across Australia and delivering for major Coffs Harbour retailers such as The Good Guys, Freedom Furniture, Target and Super A-mart. Brock loves the local Coffs Harbour beaches where he enjoys surfing and fishing with friends and family. He is not afraid of hard work and is eager to use his experience to grow Coffs Harbour Furniture Removals & Storage and provide all of his customers with the best removal experience possible. Our passionate and dedicated team of friends and family looks forward to moving all of our customers with a polite and friendly manner. Brock’s Ancestors were some of the very first family’s in Coffs Harbour and helped it grow into the City it is today. His Great Grandfather Bruce Taylor first purchased a property at Korora to grow tomatoes. However his true legacy did not begin until he bought 2 banana suckers out of a suitcase that were supposedly smuggled directly from Africa! The banana plantation continued until Bruce Taylor’s death at the ripe age of 100 and was well known for its quality organic produce. You will still find banana’s atop the hill in Korora but the plantation is now also home to our trucks as Brock continues his father’s work as a removalist. 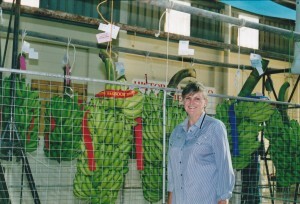 Evol Taylor with our award winning bananas at the Coffs Harbour show.